On Monday 9th and Wednesday 11th of July 2012, we had two Turtle Art sessions with the children of Class 4 at Our Lady of Merces High School, Merces, Goa, India. Class 4 in this school has two divisions, each with around 55 children, so the two sessions were necessary for us to cover the whole class. Teaching Turtle Art to a class of so many children, none of who have ever used it before isn’t very easy, especially given that we had only an hour to do the job. But with a lot of help from some of the teachers who were also present, as well as from our own ‘volunteers’ Gayathri, Harriet and Bindi, I must say the session went through quite well, though for the first iteration we did go into fifteen minutes of extra time. These sessions were unique since this was the first time that we were interacting with the children directly in their XO class, and not in an afterschool camp or workshop. Generally, the teachers handle the XO classes by themselves, but this year we decided that for new activities, we would not just train the teachers, but also conduct a session in the XO class itself, which the teachers could observe and get involved in. Later, the same activity would be continued by the teachers on their own in the XO classes that would follow. For these sessions, we had decided to work only on the square, and just touch upon the rectangle at the end. This was to allow children enough time to get used to the Turtle interface – how to drag and drop the blocks, how to change values, how to get rid of unwanted blocks littering the canvas etc. It didn’t take much time for the children to get the hang of it; the only troublesome obstacle being the touchpad on some of the XOs. The XO-1’s touchpad can get very difficult to use sometimes, and making the cursor move to a desired location can become like a project in itself. I am told that this problem was resolved to some extent on the later XOs (XO 1.5 and 1.75), but given that all our laptops are XO-1s, there was nothing we could do but clean the touch pad frequently and exchange the difficult XOs for other pieces, which were kept on standby. I wish we had mice for all the XOs, the way HBCSE has done for Khairat (though the XOs there are fewer in number). It was nice the see the children get so involved in creating shapes with the turtle. As always, some of the students caught on to it sooner that the others, and went on to make the rectangle as well. It was also very heartening to see the teachers so eager and ready to help us in conducting the sessions – helping children understand the turtle interface, and explaining the geometry to them. We hope they continue to use Turtle Art in their XO classes this year, and let the students experiment with drawing different shapes and exploring geometry with one of the best tools available for this. For the difficult cursor, try rubbing the hands together briskly and then touching a grounded or large object– it gives temporary relief. Sticking a piece of printer paper over the touchpad gives a slight improvement and keeps the touchpad clean. Congratulations on this achievements on your project. It’s always very exciting to see OLPC communities all over the world improving and creating new effects on education. Congratulations. This is a great cause. I hope you are able to expand to other parts of Goa or India. Just came across an example of Turtle Art being employed in a school, Goa India. Nice photo collection; looks like the XO-1 caused some track pad problems. 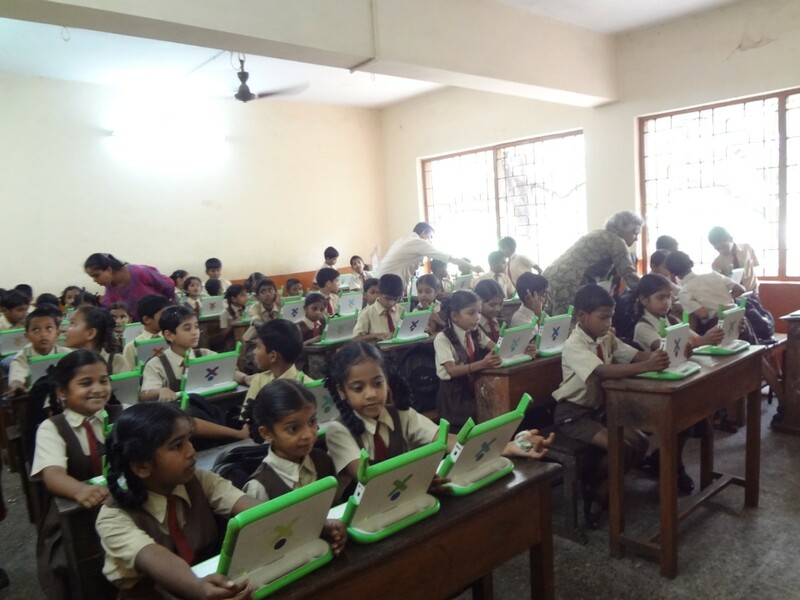 Our kids use netbooks and SoaS; no track pad problems reported.